We’ve detailed the benefits of camping in our yurts many times – spacious yet comfortable, close to nature yet shielded from the elements, and, they are ready and waiting so you can get camping the minute you arrive at your destination! We’ve also detailed the benefits of hiking many times – regularly hiking lowers your risk of heart diseases, lower blood pressure and blood sugar levels, boosts bone density, strengthens your core and elevates your mood. Combine all those benefits and it’s no wonder Hike and Yurt are some our favorite four-letter words. 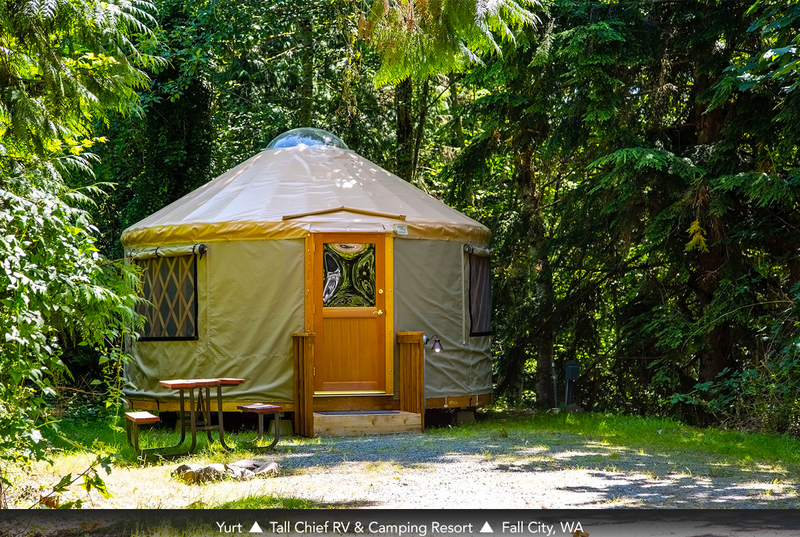 Toss in our Washington yurt accommodations and the benefits multiply as the state is home to five different locations that offer yurt lodging and all offer proximity to hiking trails that can’t be beat. Grandy Creek RV Campground (Concrete): The Cascade Trail Head is an easily-accessible, 22.5-mile trail that runs along the Skagit River Valley with farmland and wildlife views. It is crushed stone and gravel and fairly level and there are some benches along the way for resting. A highlight is the historic Henry Thompson Bridge at trails’ end in Concrete. At the time it was completed in 1918, it was the largest single span cement bridge in the world. The bridge is now on the National Register of Historic Places. 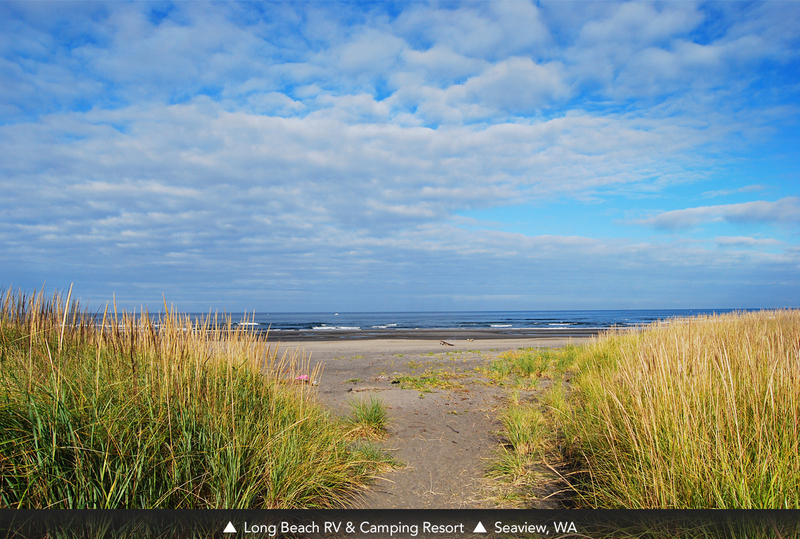 Long Beach RV Campground (Seaview): AllTrails.com lists 11 hiking trails in Cape Disappointment State Park, which is just a five-minute drive from the campground, or a 15-minute bike ride via the Discovery Trail. Most of 11 trails listed with AllTrails are rated easy to moderate so everyone can enjoy the hike. The Bells’ View Overlooks Trail (0.5 miles) is rated for all hikers and offers beautiful views of the wildflowers and the bay. The Discovery Trail itself is 14 miles roundtrip, and takes hikers over the sand dunes via the boardwalk, provides views of the ocean and even a sculpture of William Clark, for whom the trail is named, along with his travel companion, Meriwether Lewis! 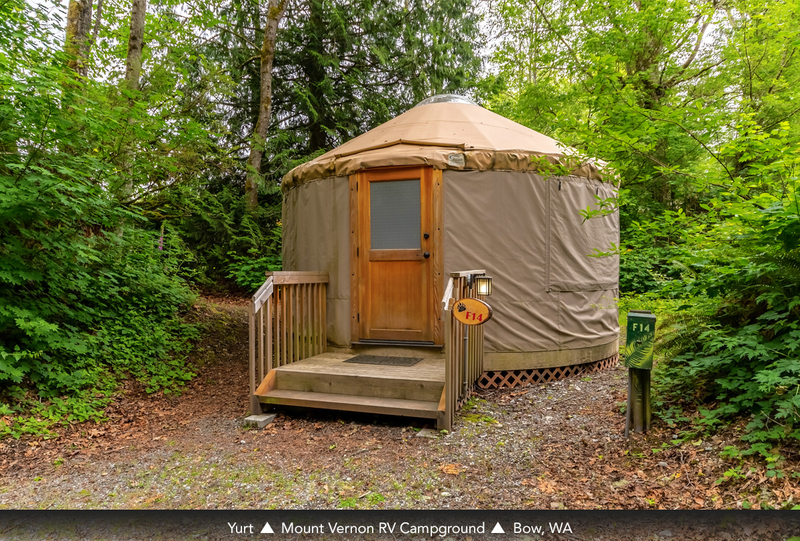 Mount Vernon RV Campground (Bow): The Padilla Bay Shore Trail takes you along the bay where the Skagit River meets the Salish Sea and makes it one of the most diverse and biologically productive of the major estuaries on the Puget Sound. It is a 2.25-mile trail that can be easily trekked. Binoculars are a must! Paradise RV Campground (Silver Creek): One of the stars here is the Skagit River Valley – an opportunity to explore the Hoh Rain Forest, one of the largest temperature rain forests in the US, via a hike along the Hoh River Trail. Mt. St. Helens National Monument is another opportunity for hiking as it offers more than 200 miles of trails that offers views of wildflowers, mountains, lakes and even the devastation caused by the 1980 eruption. Tall Chief RV Campground (Fall City): April to October is the best time to take a hike and view the beauty of Snoqualmie Falls, which is less than four miles from the campground. Of course, the highlight here is the 268-foot waterfall and good to note, it’s an easy hike for everyone. Sit on the rocks near the base of the falls and take in another great show from Mother Nature. Take a longer drive (about 40 miles) and explore a more difficult trail at the Lake Lilian Trail, an 8-mile trail that is a favorite of birders! Book your Hike/Yurt summer adventure today – go to the petiteretreats.com/accomodations_yurts and get moving!